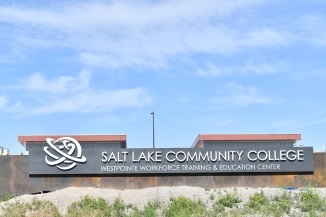 On May 17th, around 70 high school students and 40 counselors from the Canyons, Granite, Jordan, Murray, Salt Lake and Tooele school districts were among the first public visitors at Salt Lake Community College’s new Westpointe Workforce Training & Education Center. During the hardhat tour on May 17, students learned about the 13 training programs that will be offered at the $43 million, 121,00 square-foot facility, which is set to fully open in August 2018. Students were offered a sneak peek of areas that will serve as learning spaces for careers in the diesel, welding, composites, manufacturing, truck driving and solar industries, and instructors offered hands-on experiences for some of the disciplines that will be available at the center. Read More….